“There’s no food for a lazy man”; a common saying displayed all over Accra, and one heard too. In Ghana there are many proverbs to illustrate the values of Ghanaian people, and this one just stood out today (first day here!). We arrived in Accra (Ghana) yesterday, and I was immediately struck by the pan-African enthusiasm displayed on large advertisement posters on the main roads. As we all know, there has been increasing excitement about Africa in the West (including some of our clients) and as we noticed a few gaps, such as a lack of trainers on the ground and need for skills development and training in general, we have come to investigate the reality and potential for widening our service offerings in/to West Africa. As Ghana is often referred to as ‘Africa for beginners’ we thought this would be a good place to start. Before arriving, we tried to set up a few meetings. It has been a learning curve, as we learned that Ghanaians prefer face time – they say that if you can’t go meet someone face to face, then your business must not be important enough. So thanks to UKTI sponsoring a part of our trip, we’ve been able to come to Accra for the best part of a week and meet with others in the training/translation industries to learn how business in done here, and test out what the guide books say. For the coming few days, I just want to share and reflect on some of the observations and anecdotes gathered first hand. 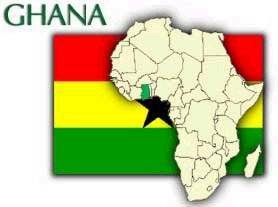 As with many other collectivist societies, Ghana is a relationship-based culture. A beautiful illustration of how this applies to everyday life from today’s wander around Accra’s beaches was seeing how people work together to achieve a goal – this morning we saw 20 or so men, women and children of all ages were helping the fishermen pull the nets out of the sea – here, sharing is caring (another proverb we heard while sharing a bowl of fufu and groundnut soup with local drum makers), and caring is timeless. The time people have spent on pointing us in the right direction and making us feel at home has been like no where I have ever been before. This is not to say that sometimes there is a certain ‘price’ on our heads, but often this is negotiable and often simply based on goodwill. I also learned that one cannot underestimate the importance of greetings, handshakes and introductions. Much time is spent on these before ‘sitting down to business’. In addition, learning a few words in Twi (one of the 46 or so different languages spoken in Ghana – widely spoken in Accra) helps break down barriers and puts smiles on local’s faces. The people’s friendliness, energy and spirit of entrepreneurialism that we encountered today has to be noted too. Despite the high unemployment rates, there is a certain contagious optimism that is easily noticeable, and even those people we met today, who have not been to university or received schooling after the age of 10, know the importance of skill development and hard work… because as they say, there is no food for a lazy man.